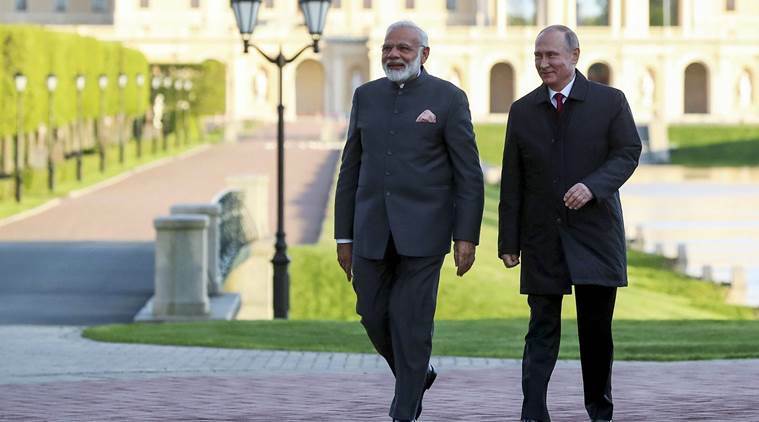 According to sources Prime Minister Narendra Modi arrived in Russia's Black Sea coastal city Sochi on Monday for an informal summit with President Vladimir Putin that will focus on pressing global and regional issues, including impact of the US withdrawal from the Iran nuclear deal. Meanwhile the official sources said the aim of the informal summit is to use the friendship and trust between the two countries to create convergence on key global and regional issues. Media reports said the two leaders will meet for around four to six hours for the "agenda less" talks where deliberations on bilateral issues are likely to be very limited. Modi had tweeted "Greetings to the friendly people of Russia. I look forward to my visit to Sochi tomorrow and my meeting with President Putin. It is always a pleasure to meet him". Moreover the issues on the table may include economic impact on India and Russia in the wake of the US withdrawal from the Iran nuclear deal, situation in Afghanistan, Syria, threat of terrorism and matters relating to upcoming SCO (Shanghai Cooperation Organization) and BRICS summits.